I’d never read Ann McMan before, but I’ll be certain to cover her in future if her latest, Beowulf for Cretins, is representative. I love watching a pro at work, making the most of the gifts she has. For McMan, it’s farcical romance as smart as it is smartly-written, packed with solid characters and twisted just a tetch. Grace Warner, unpublished novelist and English professor at a New England college, meets a woman named Abbie on an airplane. By coincidence, they are both friends of the same woman and wind up at the same party. By less of a coincidence, they sleep together. Grace intends for them to go their separate ways but that proves impossible when Abbie is named the first woman president of the institution at which Grace teaches. Toss in a jealous academic rival angling for the only tenured slot in the department, and you have lots of obstacles getting in the way of that happy ending. McMan takes an improbable coincidence and makes it work smoothly. In fact, so much about this book is smooth. The plot turns are handled with aplomb and grace, the characters are developed with ease, and the dialogue is funny. If, at times, the latter in particular seems a bit too glib, that’s a small price to pay for the smiles induced as McMan delights in dangling Abbie in front of Grace–and vice versa. If I was to offer any suggestion up at all, it would be that Bryce–Grace’s rival for tenure–doesn’t seem threatening enough for the feat he attempts to pull off to improve his chances over Grace. He has no fangs and doesn’t present the obstacle to their future that he could have if he’d been portrayed a shade more evilly. But Grace and Abbie are dead-on, as are most of the other major and minor characters. I particularly liked CK, a mutual friend of theirs who also teaches at the college. And McMan has a way with sitcom scenes, such as Grace climbing the thorny vines outside Abbie’s bedroom window that make them not only plausible but natural. 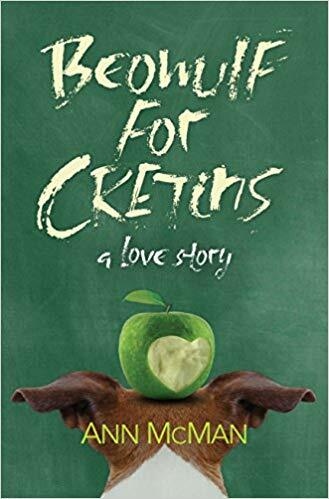 Beowulf for Cretins (Grace’s rather dispiriting assessment of the classes she teaches) is a smoothly entertaining romance that will leave you grinning at both the book and the author’s assured style. It’s really a perfect summer read.